As the deadline for this week’s blog approached, I caught myself making excuses. Ironically, the biggest reason for not wanting to write about “fear” was because I was afraid. I felt like I couldn’t pull enough information together to create the “perfect” blog. Maybe I was meant to encounter this anxiety so anything I would say would be truly authentic. Now you know you are not the only one who has fears. The fact is most people are afraid of something. Having fear about money may very well be on the top of peoples’ lists. I know the anxiety that comes with money shortfalls. Following my divorce, I went on a spending spree. I took a vacation to Vegas, shopped for clothes, and spent money needlessly. After consoling myself, the reality hit home when the credit card statement arrived. This kind of behavior was abnormal; it had to stop or I would be in financial doo-doo. Since I was supporting not only myself but a child, I needed to control my spending. Your fear may be having too much debt or not having enough money to meet your lifestyle needs. You feel stuck. The unknown is frightening. But here’s news for you. You can overcome those fears with a plan of action. Life isn’t intended to be lived in fear. 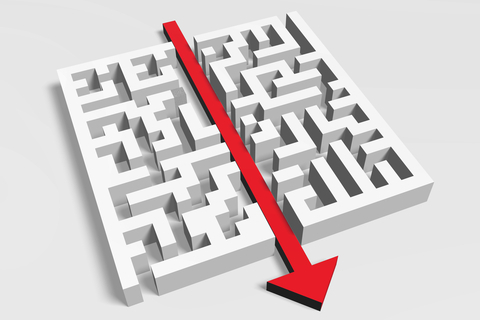 You have to find a way to move in the direction you wish to go rather than digress in the opposite direction because you are afraid. Finding ways to personally deal with the fear about money is the ideal solution. Books, articles, and Internet searches reveal a wealth of information on the subject. In my quick search of resources, I found an entire chapter in the book, The Secret, dedicated to “The Secret of Money”. Jack Canfield’s book, The Success Principles, devoted a chapter to “Feel the Fear and Do It Anyways” which coincidentally is the same title to a book written by Susan Jeffers. From the 352,000,000 links on the Internet, I picked only two, Kristin Wong’s blog, A Guide to Managing your Fear of Money and Tony Robbins’, Are You Free of Financial Fear. Obviously, the fear of money is something shared by an astounding number of people. Certainly, I am not an expert in overcoming fear. I know, however, from my experience that fears can be overcome. My simple prescription is to follow the 3 D’s: Decide, Decipher, and Devise. You have to decide whether you want to live in fear or whether you step forward courageously and do something (anything) to get out of your rut. Understand that when you acknowledge your fear, you are now in a stronger position to take control. You might even seek professional help. Setting aside any feelings of shame or embarrassment is not only a bold step on your part but an important one in the right direction. You will need to decipher the best approach to conquer your fear. When dealing with debt, you need to determine your options. This may require working with your creditors to pay off the debt, looking at your sources of income, or examining your spending habits to identify the necessary changes. If this means living on the bare minimum for a time, so be it. Once your decision is made and your options deciphered, you are prepared to devise the plan. Sticking to the grueling task of doing what needs to be done will give you immense peace of mind. When things get out of hand, handling money responsibly becomes extremely important. Taking ownership of your mistakes with a well-devised plan will help overcome your fears. This only happens because you are doing “something” to rectify your past mistakes. Make your phone calls. Take advice from appropriate people who offer assistance. Execute your strategy. 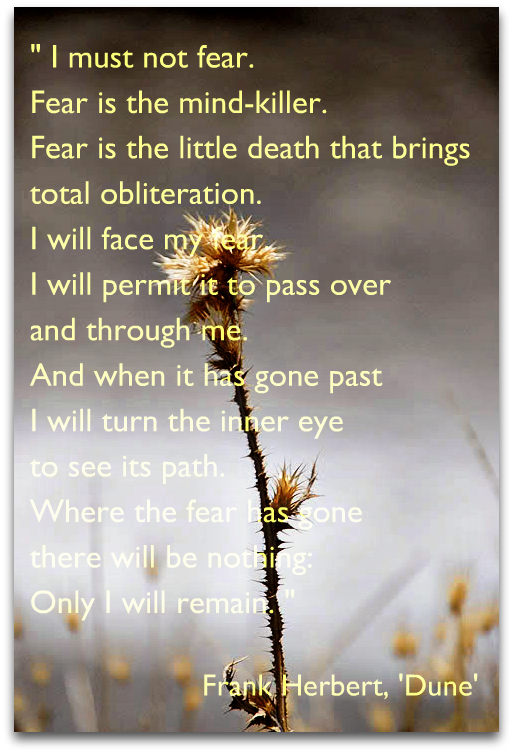 This litany may be your best ammunition against fear. 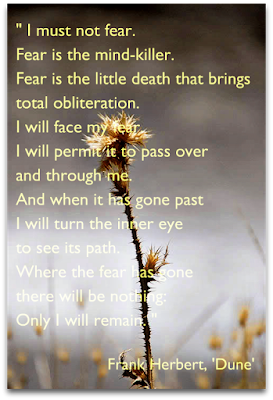 When you resolve to tell yourself there is nothing to fear, your mind has no room for the fear. The greatest favor you can do for yourself is to put this into practise. Read this litany repeatedly. Your fears should dissipate into nothing because you had the courage to face them. I like how Ralph Waldo Emerson said it: "Do the thing you are afraid to do and the death of fear is certain." Thanks Delores! I love that comment. Thank you Bill for sharing.